Salesforce Sale — Will Microsoft Tower Over San Francisco? Microsoft is evaluating a bid for Salesforce, reports Bloomberg, as a response to an acquisition offer from an unnamed company. 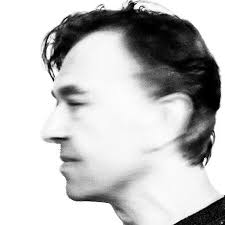 Foremski's Take: Salesforce has a market valuation of about $49 billion so it will be an integration challenge and a detachable jaw might be required to digest it. There's only a few possible suitors. I'm hoping Salesforce stays independent because it is the largest tech company in San Francisco and Marc Benioff, CEO and Founder has a generous nature and an off-beat manner that is very much of this town, and of someone with five generations of local family history. If Microsoft acquired Salesforce it would be just too strange, from a cultural point of view. Microsoft would become the largest tech company in San Francisco. It doesn't feel right. Microsoft is tightly associated with the Seattle region, up in the wet North-West. It's a different feel and a different culture. Microsoft will literally tower over the San Francisco tech community. 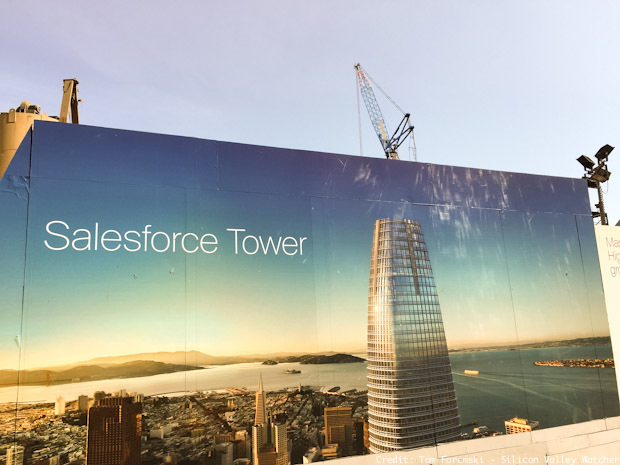 Salesforce is completing the building of an office tower in downtown San Francisco that will be the city's tallest. If it succeeds with a bid, the Microsoft Tower will dominate the San Francisco skyline. Like the all-seeing eye of Horus, Microsoft will be able to look down on all of San Francisco's tech companies and will be seen from much of Silicon Valley on a non-foggy day. I have nothing against Microsoft but the cultural differences make it psychologically unsettling to have it towering over the city. My money is on Oracle. Anyone acquiring Salesforce would do it because they want Marc Benioff, one of the best software salesmen in the industry. He would be a perfect replacement for Larry Ellison, who is no longer CEO but still very active as Chairman. Benioff is cut from the same cloth as Ellison and he shares the Oracle culture. Benioff's bigger than life personality can't yet match Ellison's but it's far more appropriate to Oracle than it is to Microsoft. Oracle's current co-CEOs have very little charisma and that's a problem for a company who's culture needs flamboyant leadership. The two companies compete with each other to host the largest user conferences in San Francisco, closing off downtown blocks, and on putting on the best music shows. The savings on consolidating these two mammoth conferences would likely be way more than $100 million a year. That's great for them but it would create a huge hole in the city's economy. A sale of Salesforce would also hit local charities. Benioff and Salesforce employees, are well known for their philanthropy. Benioff spent more than $100 million on a Children's hospital. I'm sure that personal donations would continue but corporate donations would all be reevaluated and adjusted. My money is on Oracle as the mystery bidder. But the best outcome is for Salesforce to remain independent. In early 2008 I published a story that Oracle was interested in acquiring Salesforce. It was from a very trusted source. I published the story Saturday evening because I wanted financial markets to have time to assess it rather than reacting to headlines and potentially rocking the whole sector. Monday saw Salesforce market value boosted by half-a-billion dollars as investors welcomed the idea. It also highlighted the potential value of a news story during a time of questioning the value of media.